Subsea Masters contracts highly experienced industry professionals for the growing global subsea industry. The company provides recruitment services to a wide range of drilling and production structures such as offshore platforms and wind farms, floating production, storage and offloading (FPSO) units, gas plants and land rigs. Subsea Masters supplies skilled personnel for a variety of vessels, including drill ships, jack-ups and semi-submersibles. The company provides engineers and technicians for onshore and offshore projects such as new builds, out-of-service (OOS) shipyards and repair shop facilities. Subsea Masters also resources specialists for marine riser-related projects and equipment maintenance checks. Subsea Masters has a comprehensive database of experienced subsea workers who have undertaken projects worldwide, focusing on providing the engineer that matches the requirements of its clients. Each individual supplied by Subsea Masters has a different level of qualifications, experience and skillsets that are logged, analysed and commented on by clients. When allocating personnel, the company uses its employee database to select suitable personnel, confirm availability and arrange deployment to meet short deadlines. Subsea Masters provides professionals to monitor the performance of vendors, ensuring that they meet the productivity and quality levels set by their clients. Individuals supplied by Subsea Masters are experienced and certified to work in subsea and marine environments. 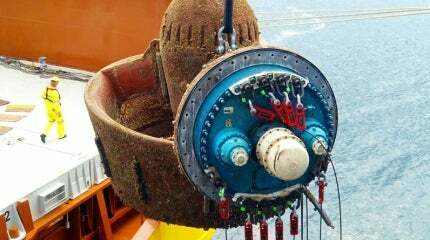 Subsea Masters offers guidance in the implementation and monitoring an effective maintenance systems, ensuring clients avoid the operational and financial risks of possible downtime and broken equipment or components from original equipment manufacturers (OEMs). Subsea Masters is the subsea subsidiary of the GEV Offshore Group, a specialist access and engineering company. It is a quality-approved company that operates in accordance with ISO 9001:2008. The firm is also registered through the UKCS FPAL system, where its performance is monitored by its clients. The GEV Offshore Group offers a wide range of services such as frontline inspection and maintenance for a variety of structures in the offshore industry, including the power generation and the oil and gas sectors. The company also extends its services to the construction, electrical and mechanical industries. GEV is associated with a number of leading industry bodies, including Renewable UK, the Institute of Water, East of England Energy Group (EEEGR) and the Engineering & Construction Industry Training Board (ECITB), the British Safety Council and the Industrial Rope Access Trade Association (IRATA).